Susan Cain foments the "Quiet Revolution." On a bright Monday afternoon, the fairy godmother of introverts—author Susan Cain, J.D. ’93, whose book Quiet: The Power of Introverts in a World That Can’t Stop Talking caught fire five years ago—was sitting with her team around a long wooden table strewn with papers and laptops and long-empty coffee cups. Outside, another day idled by on this sleepy street in central Harlem. But inside, the dining room of a majestic old brownstone that had recently become the group’s base of operations, Cain and her colleagues were deep into a philosophical discussion about loving kindness, the freedom and burden of authenticity, and the finer points of corporate networking. At one end of the room, two whiteboards leaned on easels, crammed with dry-erase shorthand: “vulnerability,” “journey,” “leadership,” “service,” “connection.” What the group was trying to get at was something about the nature of transformation: How do you shift a culture? What does it look like when that happens? And who is the person who can do it? A few weeks earlier, Cain’s nascent for-profit company, Quiet Revolution (stated mission: “To unlock the power of introverts for the benefit of us all”), had launched a pilot initiative, the Quiet Ambassador program, in a few offices and schools around the country. Cain is an introvert, too, and if you talk to her or read even a few pages of Quiet, you’ll quickly encounter one of her central themes: the “extrovert ideal.” American culture, and the Western world more broadly, she argues, glorify extroversion. Classrooms and workplaces are designed around those who thrive amid the clatter and commotion of open office plans and brainstorming free-for-alls. Introversion, meanwhile, exists “somewhere between a disappointment and a pathology,” something to be overcome on the way to achieving a better self. “Today we make room for a remarkably narrow range of personality styles,” Cain writes. “We’re told that to be great is to be bold, to be happy is to be sociable. We see ourselves as a nation of extroverts—which means that we’ve lost sight of who we really are.” In fact, she notes, one-third to one-half of Americans are introverts. If you’re not one yourself, she often tells audiences, you’re probably raising or managing or married to one. And so: the Quiet Ambassador program, and this July afternoon meeting at the company’s Harlem brownstone (called—what else?—the Quiet House) to throw around final thoughts. Its purpose is not just to make introverts feel better, Cain says, but to help them work better and learn more, be better employees and students. The “ambassadors,” volunteers from participating organizations, undergo months of training by the Quiet Revolution team and then return to their peers ready to nudge school and office cultures in quiet-friendly directions. Advocating fewer joint projects, maybe, or more advance notice of meeting agendas. Finding new corners for solitude and silence, fostering clarity and communication among co-workers and classmates on opposite ends of the temperament spectrum. But even as they were already training the first wave of ambassadors, the Quiet Revolution team was still trying to get a bead on who they were or, ideally, should be, what their core characteristics ought to be at the end. Paul Scibetta, the company’s very extroverted CEO, stood at the head of the table with his chair askew behind him, manning the whiteboards and guiding the conversation. Sunk deep in their seats, about a dozen Quiet Revolution team members sat around the table. At the start of the meeting, Scibetta had asked everyone to conjure up an image of a “fully formed ambassador” and then describe it. “What is it that we’ve created?” he asked. “What’s the one thing you would want from us if you were that ambassador? Who would you want to become?” He was proposing an exercise in reverse engineering. The answers were nebulous at first. The conversation meandered around “self-awareness” and “self-expression.” Navigating relationships. Leaving one’s comfort zone. One person suggested that the ambassadors might be like marriage counselors, just not for marriage. Another talked about the tiny individual acts of bravery involved. “In advocating for yourself as an ambassador, you’re spreading a message,” she said. “I think people need to be told it’s OK to revolt.” Cain brought up the importance of getting extroverts on board, both as ambassadors and as believers in the “for the benefit of us all” part of Quiet Revolution’s mission statement. “All the time,” Scibetta echoed, nodding. Cain had some inkling that her book might be big. Not at first. When she kicked around the idea for Quiet in the early 2000s, wading into obscure literature on the social and psychological history of introverts, “I thought I was working on this highly idiosyncratic project and I’d be lucky to get a book deal and sell a few copies,” she says. But then her agent approached New York publishers, and “They all kind of went crazy.” (Perhaps they could identify with its subject: “As you can imagine,” Cain says now, “most editors are introverts.”) There was an auction and a bidding war, which Random House eventually won. “It was like this wild dream,” Cain recalls. And then it was time to write. It took seven years and a start-from-scratch second draft to get it right. The heart of the book, though, is in the dozens of scientific studies that Cain mines along the way. There’s Wharton management professor Adam Grant ’03, talking about his experimental research on the surprising effectiveness of introverted leaders. And psychologist Elaine Aron on “highly sensitive” people with strong emotions and small-talk aversions who sound a lot like introverts. And Cambridge psychology professor Brian Little (previously a Harvard lecturer) on the “free traits” that allow introverts, and extroverts, to step outside their temperament when the situation calls for it. Cain devotes a whole chapter to the work of Jerome Kagan, Starch professor of psychology emeritus, whose research followed subjects from infancy to adulthood, distinguishing what he called the “high-reactive” kids, who were more easily overwhelmed by the stimuli of their environment and more likely to grow up introverted. His work helped establish biology’s role in shaping personality and temperament as a partly inborn trait. Being introverted, she asserts, is a worthy, often glorious, attribute: introverts are empathic and reflective; they prefer listening to talking and think before they speak. They are less likely to die in car crashes, more likely to heed warning signals. They tend to be the ones to make peace and offer counsel. They have “mighty powers of concentration” and remain mostly immune to the lures of wealth and fame. They’re artistic and creative, especially when they work alone. The list of esteemed introverts is long, she assures readers: Charles Darwin, Dr. Seuss, Rosa Parks, Albert Einstein, Steve Wozniak, Steven Spielberg, J.K. Rowling. After her talk, Cain went back to her hotel room and shut the door. Giving a 20-minute speech in front of lights and cameras and several hundred people had taken tremendous energy, and she would need almost a week to recharge. “I barely went outside for days,” she says. But already, she was beginning to receive letters and emails that would become a flood of thousands, from readers desperate to tell Cain their stories or ask for her advice, or to thank her. Some wrote as if a burden had been lifted. In Cain’s book, they saw themselves explained and exonerated. Many of them told Cain they wished they’d known all this years or decades sooner. In the years since, Cain has forged her own little industry. Quiet Revolution launched in 2014, and in 2015 the company set up offices at the Quiet House—first in a two-story Victorian house near Nyack, New York, later relocating to the brownstone in Harlem. Quiet Revolution’s website (www.quietrev.com) offers advice and quizzes and first-person essays in which readers tell their own stories. In 2016 Cain published Quiet Power: The Secret Strengths of Introverts, a follow-up book focusing specifically on children and teenagers. At least a couple of times a month, she is on the road, speaking at conferences and corporate gatherings and nonprofit retreats, before audiences of hundreds or thousands; during a particularly busy stretch last fall, her schedule took her from Houston to Silicon Valley to New Jersey to Los Angeles within a couple of weeks. Then there are the lunches, the phone calls, the near-constant stream of interview requests from reporters. 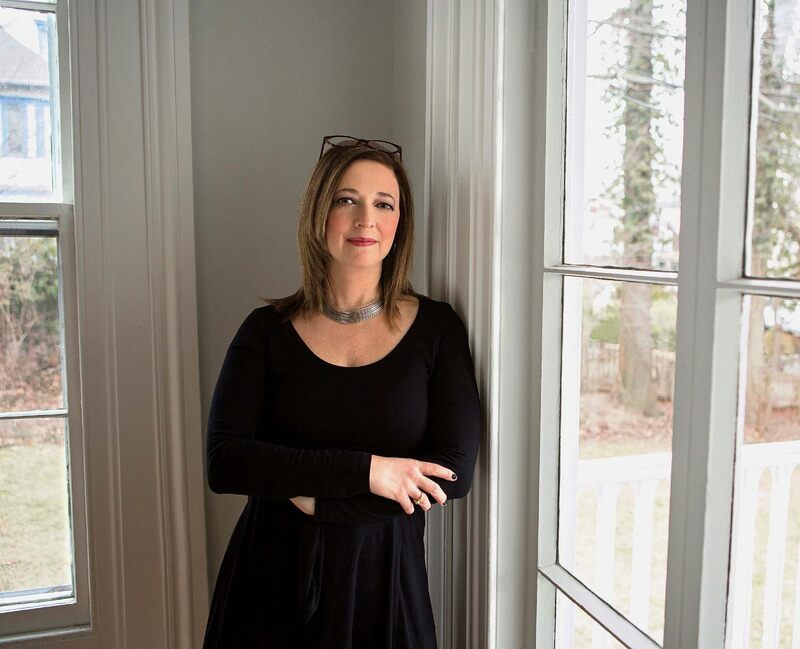 Cain balances all that with very quiet off-time back home in the Hudson Valley, where she lives with her family: daily walks, “Zen tennis,” mornings-into-afternoons spent reading and writing, the predictable rhythm of school drop-offs and pick-ups to bookend the days. Still, the speaking demands are a lot for an introvert to manage. Cain knows it’s ironic that writing about introversion has thrust her so squarely into the spotlight. But standing up in front of audiences gets easier over time, she’s found, and to recharge between events she might get out her racquet and hit a few balls, or retreat to her hotel room and order room service (buffalo wings, the spicier the better) and read a book. In another life, one that now seems far away, Cain was an attorney on Wall Street. She went to law school for the reasons people sometimes do: it was a solid path, and her father wanted a self-sufficient life for her—plus she found law interesting. In truth, she says, “I was the least likely law student ever.” Law school made her so anxious that she once threw up on the way to class. Friends used to ask her why she was there, when her talents should perhaps have led her elsewhere. “And I was like, ‘No, no, it’s great.’ Because for a while I really liked it, in the way that you like a foreign country. It’s fun, it’s exciting, and, oh look, I can speak the language.” Afterward she spent seven years in the corporate law firm Cleary Gottlieb Steen & Hamilton. That’s where Cain first met Scibetta, Quiet Revolution’s CEO. Both were young associates, and although they had nothing in common temperamentally, they shared a fascination with personality. After a few hours around a table watching masters of the universe argue and negotiate, Cain and Scibetta would spend more hours picking apart their behavior. There were the yellers and screamers, and the bangers-on-the-table—and the steely quiet ones who stayed calm and waited. Those caught Cain’s eye. Scibetta spent six years in Tokyo and then, after stints in London and New York, another eight years in Hong Kong (where he adopted a puppy off the streets and named her Minnie; she’s now the Quiet Dog). Then Cain called him. Her book sales were going wild. All these letters were coming in from readers. She was thinking of starting a company. Would he come help her build it? From the beginning, businesses were interested in Cain’s work. The CEO of Steelcase, the office-furniture manufacturer, happened to be in the audience the day she gave her speech at TED; he approached her afterward to talk about how to build more quiet workspaces. In 2016, Cain’s company, working with the California-based Anita Borg Institute, an organization for women in the tech industry, formed the Quiet Tech Network. Building on the Quiet Ambassador idea, it brings together many tech companies to counter the industry’s own extrovert ideal, which Scibetta says is partly to blame for the scarcity of women in the field. After all, he explains, “ideal” extroverted traits are more often ascribed to men than to women. Wadors began leading roundtable discussions about introverts in the workplace whenever she traveled from her base in Seattle to LinkedIn’s other sites around the world, mostly “for introverts to talk about their experiences,” she says. She would share Cain’s nuggets of advice: if you need to say something in a meeting and you’re nervous, say it early so you can be relaxed and attentive afterward; if an idea occurs to you four times in a meeting, force yourself to share it, even if you’re reticent; at cocktail parties, talk to four people before you go home. “And don’t just shake hands—have a conversation,” Wadors says. She limited the discussion groups to 20 people, but often three or four times that many wanted to take part, including extroverts who would sometimes sneak in. Waiting lists sprang up. Wadors asked Cain and Scibetta what to do. “I said, ‘I can’t scale it. I can do 20, but there are 85 people who want to get in.’ ” That was the genesis of the Quiet Ambassador program. This year, there are 50 ambassadors, most of them teachers, in 19 schools around the country. They’re working with teachers on how to rethink student leadership and participation, how to bring quiet time into the classroom, and how to help introverted kids through the already-overwhelming college-application process; they also educate parents about how to deal with (and avoid mishandling) their introverted children. One elementary school with a particularly loud cafeteria instituted a weekly “quiet lunch,” in a different spot, where students could eat while they read or played games or did puzzles. “We were bouncing around ideas like having poster board available at the table, encouraging more reflective writing or drawing,” Kasevich says. As the meeting at the Quiet House wound to a close—Cain heading out to pick her kids up from school and the others planning to share dinner downstairs in the kitchen—Scibetta began wrapping things up, consolidating his notes on the whiteboard, summarizing the day’s highlights and revelations. And then came this tiny turn of phrase, easily missable, but clearly intentional: “In a minute,” he said, “I will say, ‘Does anyone have any other thoughts or questions or ideas?’—I will say that in a minute.” Then he continued speaking, but all around the table his introverted colleagues looked slightly changed. They were now readying themselves to say something, straightening in their chairs, arranging words in their minds. Three or four minutes later, Scibetta stopped. “So,” he asked, “does anyone have any other thoughts?” A hand went up.